With the clock ticking to this year’s K-pop MGA awards, excitement has been running high, as the star-studded event will feature diversity in its nominations and exclusive collaborations. Here’s what we can expect from the highly anticipated awards show, which is set to be held at Namdong Gymnasium in Incheon on Tuesday. 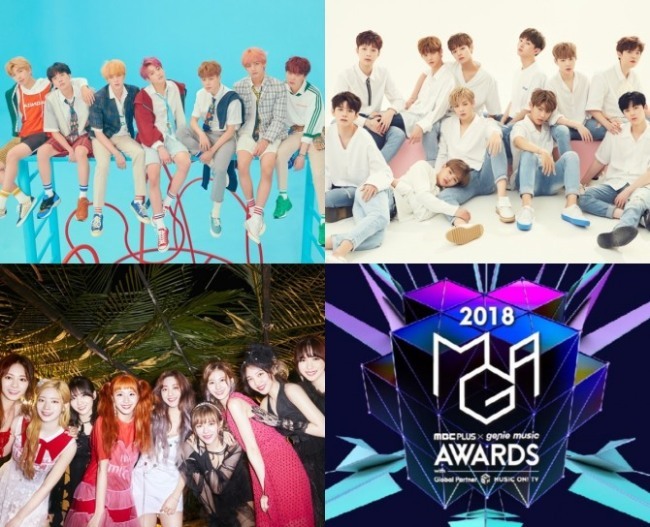 The 2018 MGA will offer exclusive performances by beloved K-pop artists. Headlining the event is a joint performance by K-pop superstar group BTS and award-winning US singer-songwriter Charlie Puth, which is going to be one of the biggest moments at the event. BTS and Puth had exchanged messages of mutual admiration and support on Twitter for almost two years, kindling hopes that their friendship might culminate in collaboration. BTS and Charlie Puth are finally getting ready for their first real-life encounter. It has yet to be announced what the two acts will be performing. The event will also see Twice’s first performance for its chart-topping new single “Yes or Yes” and Wanna One’s performance as new units it hasn’t showcased before. Other headliners include (G)I-DLE, Chungha, Momoland, Stray Kids, Day6, Heize and Celebfive. The event will up the ante by embracing augmented reality. According to the MGA, the collaboration between BTS and Charlie Puth will blend a live performance and augmented reality, to offer crowds a tech-savvy experience. The special performance is being directed by a graphic team that worked on the opening ceremony of the 2018 PyeongChang Winter Olympics. Our biggest question may be who will pick up the biggest awards at the event. The awards show consists of four categories: artist of the year, song of the year, digital album of the year and best-selling artist of the year. Leading the nominations this year are BTS, which has been nominated in all categories, Wanna One, iKon, Epic High, Twice and BOL4. 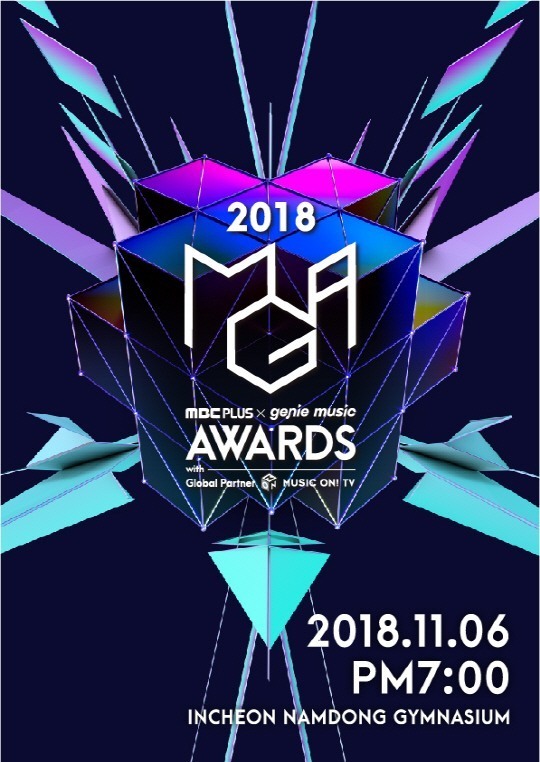 The 2018 MGA is a music award show jointly organized by South Korean broadcasting service MBC Plus and online music store Genie Music. It will be hosted by TV personality Jeon Hyun-moo. The red carpet event and ceremony begin at 5 p.m. and 7 p.m., respectively.